I’m hesitant to share this now because it’s the first fiction I’ve shared on this blog. I don’t want people thinking I’m still this bad at writing. But, I love reading posts like this, so I’m doing it anyway. 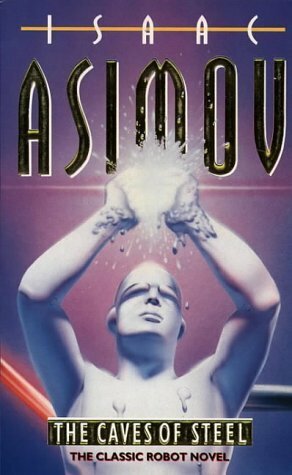 In this post, I’m sharing the first chapter of the first book length thing I ever finished, written when I was 15 years old. Needless to say, please do not believe the quality of the chapter below in any way reflects my writing today. This draft was around 65,000 words. I never titled it, but often referred to it as Martian Murder Mystery. 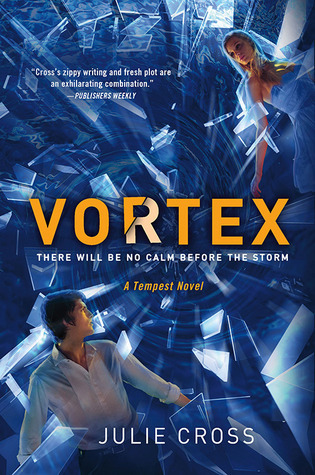 This temporary title is a good description of the plot: a murder mystery set on Mars. Not that this is apparent from this prologue. Oh, and there was also time travel. Lots of time travel. The most embarrassing part is that the draft below is the revised edition. Back then, I though the only editing writers needed to do was fix all their grammatical errors. I do have some plans to reuse my favorite aspects of this novel in future drafts (e.g. the plot and some world building elements), but have abandoned the idea of publication for this specific project, which is why I’ve posted this prologue. Before this prologue there is a horrible poem. This poem is excluded for the purposes of this post. Mars was once a rocky planet, devoid of all life. Before that changed 75 seventy-five years ago, no one on Earth would have thought anyone would ever call it home. When I came upon the planet for the first time, I’d expected a relaxing vacation away from the pressures of life on Earth. What I got instead was something I’d never expected, something that would change my life. It all started one Martian summer day as I was giving a speech. Ugh, why is this started with summary? Start in scene! There is no need to explain what could be explained through action, especially not at the beginning of the story when I am trying to give readers a reason to continue. Also, dependent clauses need a comma after them if they come at the beginning of a sentence. This paragraph is way too long, especially when surrounded by other paragraphs that are also way too long. Paragraph length should vary. Another low-level concern is that there is way too much abstract language over language that engages the senses. I should, for example, show how Chess is making herself appear confident and energetic instead of saying she appears that way. The audience, too, should be described. That’s another thing, Chess, our narrator, probably should have had her name stated by now with a description of herself. “I was only five the day the world moved backwards. I may have been young, but I can still recall the way everything, every broadcast, and every person seemed to freeze a moment. The invention of the first practical method of time travel should have been a joyous occasion, or so one might think. Instead, the possible implications seemed to suddenly dawn on people. If someone commits a crime, why not go back and prevent that person from existing all together? If someone is about to be murdered, injured, or raped, why not go back in time and prevent it from occurring? Why not even go back and prevent some of the bloodiest wars in history? So much info-dumping and way too many rhetorical questions. The speech should also be interrupted by action. “Before the year was out, we had a war on our hands. On one side, we had everyone who believed time should be unaltered and on the other, was everyone who believed that, no matter what the cost to ourselves, we should do whatever we can to assist our ancestors and make time as perfect as possible. The two groups were called the preservationists and the perfectionists. As time machines grew more and more readily available to members of both parties, it became all too apparent that battle tactics needed to be completely revised. The audience would likely already know most of this, so there would be no reason for Chess to say most of it in her speech. They would also mostly be asleep by now. “The inclusion of time travel opened the door to a literal whole other dimension of warfare. No longer could wars be won by fighting in simple battles. The members of each side would continually go back and warn their former selves and both sides would be locked in an endless stalemate. Like a song playing on an endless loop that none of them even realized was repeating. As a result, no one can say exactly how long this war (known today as the 4-D War) actually lasted, but everyone can agree on the event that ended it. *face palms* so much info-dumping. Even my head is spinning with all this information. I could also probably even make all this info-dumping much easier to understand if I were to just rewrite it at my current skill level. “It was 199 years ago on this day when that war ended all because one man, my father Robert Tempest, proposed a compromise. This compromise became known as the Retribution Act. It stated that true time travel, which was never properly reproduced after the Zephan Aaron disaster in any case, was outlawed entirely, and the more practical, less dangerous form of time travel known as dream travel would only be used in murder cases to force the person who committed the murder in the first place to experience exactly what their victim had experienced. People who die while dream traveling never come back…” I trailed off as I noticed something, or rather, someone behind the curtain of the stage move. I tried to pass this off as dramatic effect about my previous comment to allow the full meaning to sink in. What I’d seen had been a girl about my age, maybe a little older (or way younger depending on prospective) she had been wearing a “retribution is a crime in and of itself” t-shirt. I hated protesters, but wasn’t about to let them ruin my speech. Something had felt off about this protester though, as though I knew her from someplace, but at the same time I was entirely positive that I had never seen her face before in my life. Okay, here is the first interesting thing that happens in this chapter. Chess should have noticed this person sooner and had her unease intermingle with all the info-dumping. Chess should also be sharing many more of her thoughts on the matter and how she is remaining calm in front of her audience despite this protester’s sudden appearance. That would have made it all much more interesting. There should have been a new paragraph after the end of the speech. Also, Martians from the distant future wear t-shirts? Who knew. All this information and Chess’s name hasn’t even been mentioned once?! Besides, it was not by my choice, I wanted to add, but I didn’t because I knew the comment would be everywhere, and therefore was not worth the potential trouble it would cause: even if it was the truth. Chess’s emotions should be portrayed in a less telly way. “This in no way violates the laws of Retribution which only mention time travel, not cryogenics.” I wanted to wrap my speech up quickly now to figure out what the deal was with that protester, but now, as I glance at the area where she had been only seconds before, she is already gone. Chess really should have been a lot more concerned about this protester. “I must say that Mars is the perfect change in scenery I needed in order to celebrate this historic event in a whole new way. Even here on this planet, it is important to remember that history still links our two worlds. This is my first experience of interplanetary travel, and I must say that the trip is completely worth it. Thank you all for your time everyone! Wishing you all a happy Retribution Treaty Remembrance Day this is Aubriana Tempest.” After my speech had ended I looked around for someone who had seen the strange protester girl, but no one had noticed her: no one except me. The most cliche end to a speech ever. There was no need for the entire speech to appear here. I could have included only the lines that were important. I should mention that Chess is the nickname the main character goes by throughout most of the novel. Aubriana is her legal name. This in and of itself is rather gag worthy. The last line in this paragraph is probably the most exciting thing that happens so far: that no one notices the protester and the protester doesn’t directly disrupt the speech. Most of the speech should be cut with only relevant lines shared with the reader. Those lines absolutely necessary to understanding events should be shared, the rest should be excluded. Chess needs to interact with more of the characters, even if those characters don’t have speaking roles. She’s in an auditorium full of people. There should be plenty of characters around for her to interact with. Chess needs to be more concerned about this protester and do more to prevent the protester from ruining her speech. I need to do more to show readers why they should care about Chess. I suspect the scene starts a little too late. More about Chess can be established if I show who she speaks to before her important speech and her reaction to the need for the speech to be given. Paragraphs need to be shorter and more varied. This is in part due to ungrammatical lack of spacing after quotation marks. There needs to be more description using language that evokes the senses. There is no reason for this to be a prologue. There is no time jump and Chess narrates the whole novel. This should be chapter one. This is only a small percentage of what is wrong with this chapter, but there isn’t enough room in this post for me to cover everything. Anyone want to see chapter one or for me to critique another of my old works? Anyone else have some embarrassing old writing shoved in a drawer somewhere? Do you agree with my critique of this chapter? Since I’m not participating in NaNoWriMo this November, I’ve opted to write about the first draft I wrote last summer. Edit 10/25/17: Disclaimer: Everything written here is subject to change. I was inspired by a news article I read about pig embryo with human cells, with the suggestion that people in the future might use pigs as organ donors. An article like this one. The idea captivated me so much I wrote a short story not long after. At first, it seemed too ridiculous an idea to base a full novel around, but I was still so enthusiastic about these characters and had more positive beta reader feedback than I expected. So, I turned it into a novel length work. I wrote the short story around last March, so that should give some idea of the timeline. It’s a young adult science fiction novel about Lyle, a teenager who’s only allowed off his parents’ property for doctors visits. Sometimes not even then. One day, Lyle discovers his parents had another child before him. One they intend to sacrifice Lyle to get back. At least, that’s how Lyle sees it, anyway. Everything Lyle knows about the world beyond his backyard he learned from the few websites he was allowed to visit, his parents’ constant warnings, and peoples’ snide comments about him. Yet, Lyle’s only way to escape a fate he considers worse than death is to find a way to survive in a place he’s only glanced through the glass of a car window. After running away, Lyle soon ends up trapped. If Lyle doesn’t reveal his identity, he will be killed in two weeks. Now Lyle’s only hope is to escape his imprisonment and avoid being recognized before the two weeks are up. I hate to say it, but most of the description in my novel is disgusting. Like, while I was writing the first draft I had to skim on some of the concrete details because the visualization was making me gag. It all serves a purpose of setting up the dark, dreary atmosphere, though, so I guess that’s okay? Uh, there are a lot of characters. Twenty-four in my Scrivener character description files, to be exact, and, no doubt, more that I haven’t made a file for. Most of them don’t have names yet. It takes me forever, yes, even past draft one, to pick names out. For the sake of keeping this a reasonable length, I’ll have to sit this one out. I’m an outliner. In fact, some of my outlines have been known to reach 10,000 words. Fortunately, this outline was only a little over 5,000 words. So, you know, keeping it brief, LOL. Well, I’ve already written the first draft. To be honest, that was what I most looked forward to. Now, I’m looking forward to having the whole thing edited enough I feel comfortable with someone else reading it. There are a lot of settings. One of them is a barn. Another is a suburban high school. A third is a hospital. Lyle wants people, especially those he cares about, to accept him for who he his. His physical appearance and physical ability stand in his way often, as do a number of individuals who literally keep him trapped, and Lyle’s own ignorance. Lyle grows more confident, more firm, and less trusting. I try not to think of themes in my own works. I worry they make my work too preachy. While the story gets bleak sometimes, I want to leave readers hopeful for the future. Are you participating in NaNoWriMo next month? Have you decided not to participate but work on something anyway like me? Anyone revising a first draft? Between February and March, I read six books, a novella, and an anthology. 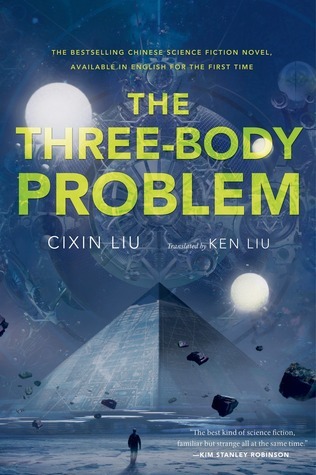 Science fiction novel featuring China’s cultural revolution, a high tech video game, and aliens. Slower paced than I usually like, but I was intrigued enough to keep reading. It’s hard to see how all the different elements connect at first, but they come together by the end. Man is abducted and wakes-up to discover everything in his life has changed. Really enjoyed this, but there were some elements of the world-building that confused me and kept me from rating it higher. I was in the mood for a book about time travel and read the first book a long time ago. This book was fun, but some parts made me roll my eyes. 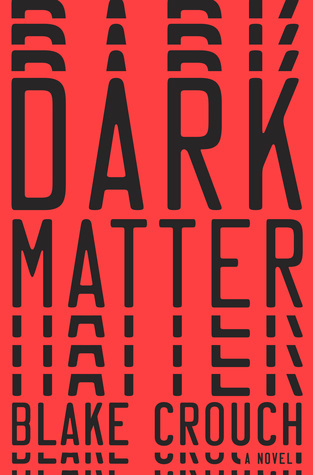 Classic science fiction novel in which Elijah Baley must travel to a distant world to solve a murder mystery. 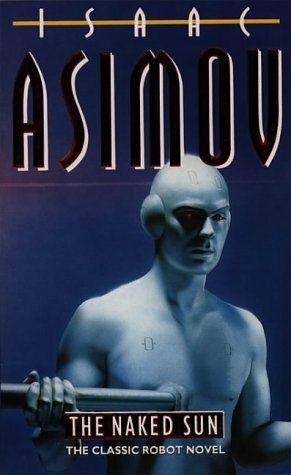 I’d heard a lot about I, Robot before, but never knew the author had written a series set in the same universe. Even though this book is a product of its time, I enjoyed it much more than I expected. 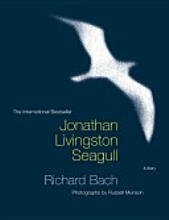 Jonathan is a special seagull none of the other seagulls can understand. Listened to this novella on a long road trip because one of my traveling companions wanted to. There were aspects I enjoyed, but it also falls pray to some tropes I’m not a fan of. Elijah Baley is recruited to solve the mystery behind the murder of an individual visiting Earth from another world. Yes, I read these books out of order. I’m terrible, but these aren’t really books that need to be read in order. They still make sense if the second book is read first. I enjoyed this book about as much as the second. 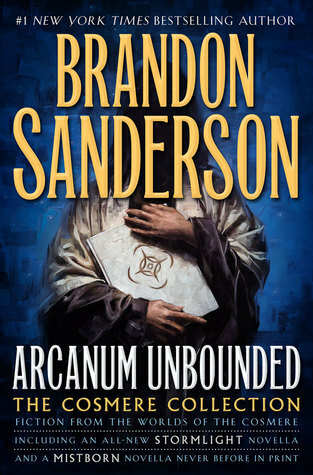 A collection of Brandon Sanderson’s short fiction set in the Cosmere universe. Short stories/novellas in this collection would get a rating between 3/5 and 5/5 if rated on an individual level. Works that would get a 5/5 or a 4.5/5 include: The Emperor’s Soul, Mistborn: Secret History, and Edgedancer. A young wizard grows into his powers. 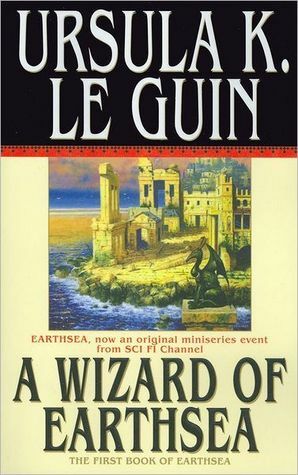 I’ve heard about Ursula K. Le Guin for so long but hadn’t given her work a try. I decided to change that. I liked this book but didn’t love it. I wrote a couple short stories that I’m revising this month. They’re turning out better than expected. Note: I was provided an advanced copy by the publisher, but opinions are my own. Synopsis: Nemesis was engineered for one purpose: to keep Sedonia, the daughter of a galactic senator, safe. When it becomes clear the emperor plans to hold Sedonia hostage, the only way for Nemesis to keep Sedonia safe is to impersonate her. Nemesis is a genetically Diabolic, not a human, yet the more time Nemesis spends pretending to be human the less it feels like an act. 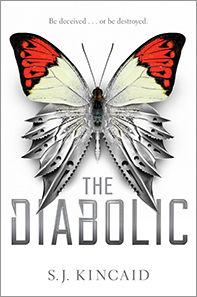 Everything Nemesis thought she knew is thrown into question as she begins to wonder how different human and Diabolics really are. As the Empire starts to fall to ruin, Nemesis’s new understanding might give her the ability to end the chaos. Thoughts: This book helped get me out of one of the longest reading slumps I’ve had in years. Part of what allowed me to do this is the novel’s fast pace. There is a lot of plot in a relatively short time. The amount of plot in this book could have been an entire trilogy. The trade-off of this is that the book ends up feeling too fast at times. I would have liked more time for character development and world-building, but managed to understand and enjoy the novel’s sequence of events regardless. I would like to note that this novel is very different from S.J. Kincaid’s Insignia trilogy. 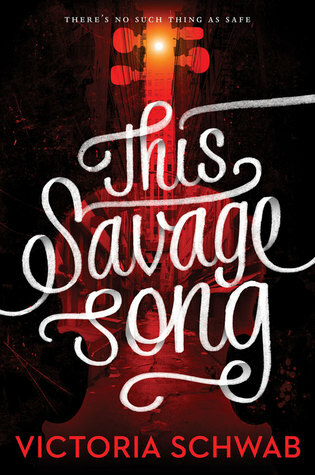 This novel is on the edge between YA and adult whereas the Insignia trilogy is on the edge of middle grade and young adult. I read this novel before Insignia. As a result, I found myself surprised at the different feel of the two works. I would have liked to know going in that her other works were for a different audience. My favorite aspect of Nemesis’s character was her identity struggle. Nemesis struggles with her own humanity and what she believes she deserves. I enjoy the trope where a character from one group has to pretend to belong to another group. That the character was imitating someone else while searching for her own identity further heightened her identity crisis. I’ve read books with elements of the world building contained within this book before. It has a very space opera feel with some fantasy elements thrown in with the science fiction ones such as the the monarchy and long term technological stagnation before the story began. That said, these are elements that I really enjoy, particularly as this novel used some of these elements in ways I haven’t seen done a lot before. I read most of this book believing it to be a series, and was disappointed when I learned it was a standalone. The book does have a satisfying ending, but I would really like a sequel. 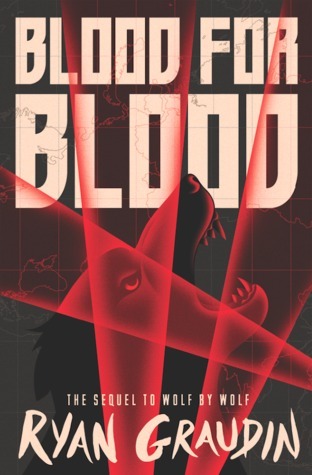 Rating: I really enjoyed this book and recommend it to fans of space opera, political intrigue, and plots where a character from one group must disguise themselves as a member of another. Note: An advanced copy was provided by the publisher (Little, Brown). Opinions are my own. *This is the review of a sequel. For my review of the first book click here. Synopsis: In an alternate 1956 where the Axis Powers won World War II Yael, a teenage Jewish concentration camp escapee, entered an ambitious cross-continent motorcycle race. The winner got to meet Hitler. Her goal was to win the race, kill Hitler, and start a revolution. This book is the aftermath of that plan. Thoughts: I didn’t know what to expect going into this book. I was worried with the way Wolf by Wolf ended this book would be all filler in an attempt to make a series out of a standalone. What set this book apart from most other novels’ I’ve read centering around a revolution is that the main character, in this case Yael, still has an important message and roll to play in what is to come. The world-building, something I didn’t feel was well executed in the first book, was better in this one. This is due in part to the fact that in the first book almost all the flashbacks were dedicated to showing Yael at the most devastating moments in her life, whereas these show a variety of circumstances. This book put greater influence on Yael’s Jewish culture than the first one. Yael spent most of the last book pretending to be other people, and had trouble keeping herself from getting absorbed into the roll of the person she was pretending to be. That was not the case in this book. I enjoyed seeing Yael come into her own and embrace who she was. Though I can’t comment on the accuracy of the depiction as Jewish culture is not something I’m overly familiar with. Our two leading side characters from the first book, Felix and Luka, play an even greater roll in this book than the first one. They get entire chapters from their point of views. I appreciated how, in spite of this choice, the author didn’t make the book all about romance. I have a feeling Luka’s character arc in this book is going to be controversial. He accepted things rather quickly. Though the way he learned only part of what was going on at any given time made his actions more plausible. Something else I noticed that I didn’t in the first one was that I’m not sure how accurately German words are used. I’m not anywhere near fluent in German, but when I read the first book my only exposure to German was spoken. Between reading the first and second books of this series I decided to learn a little about the German writing system. Keeping in mind that the version I read was an ARC and I have only limited knowledge of German, I think all of the German nouns in the book should have been capitalized but some weren’t. It seems to me like this is a very basic rule the author should have had a German speaker check for, but maybe I’m wrong since I’m not a fluent German speaker and this was not a finished copy. Rating: A great sequel overall, though I had a few reservations.